Hello all! I have quite a bit that I want to post tomorrow, one being another Love Story! Another post is sharing a new Project idea that I hope to start in February! So every day this week I will be sharing a new Love Story that I've received from wonderful people that I know you will all enjoy! Thank you again for your lovely comments on these posts as well those letting us read all about how you met your special someone! 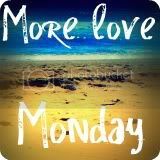 I decided to start the More Love Monday a little bit early which I suppose I always do. It gives everyone an opportunity to link up before they head back to that place... w-o-r-k first thing tomorrow morning. Make sure to visit other people who link up and... spread the love! 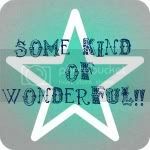 Blog Spotlight: Please stop bye and visit my new & lovely friend Heather at Some Kind of Wonderful. She has such cute, fun and sweet posts. You'll really get a smile out of all her photos too!